Leave enough space to slip bracelet on and off. 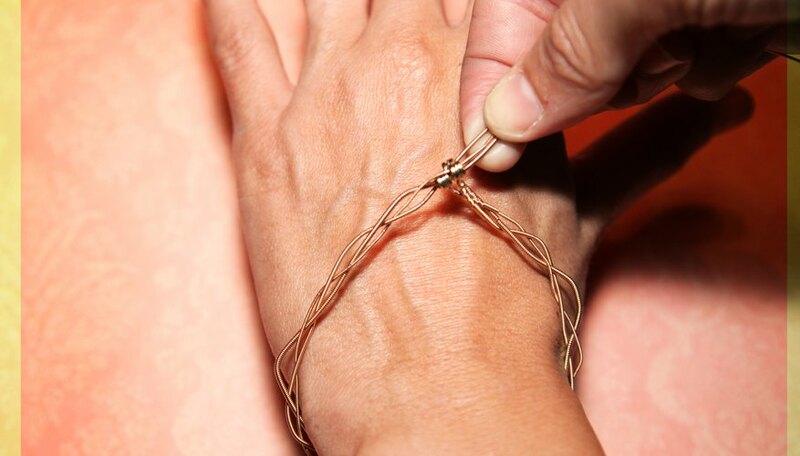 A guitar string bracelet is a type of jewlery accessory that is made from used guitar strings. In 2006 "Wear Your Music" began marketing guitar bracelets for sale made from the used guitar strings of some of the most famous current and former musicians. These bracelets can vary in price depending on the artist. A Willie Nelson guitar string bracelet will cost $75, and it costs $200 for a John Mayer guitar bracelet. The most expensive guitar bracelet, from an instrument owned by Eric Clapton, costs $500. 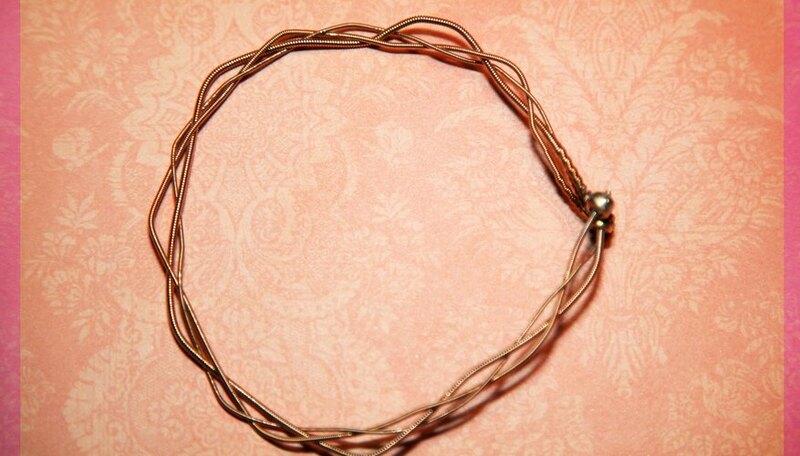 Instead of spending a lot for one of these, you can easily make your own guitar bracelet from your own used guitar strings. Line up the three thickest guitar strings, the E,A, and D strings of the guitar. Make sure the bases of each string, the end that has the metal loop, are all on the same side. 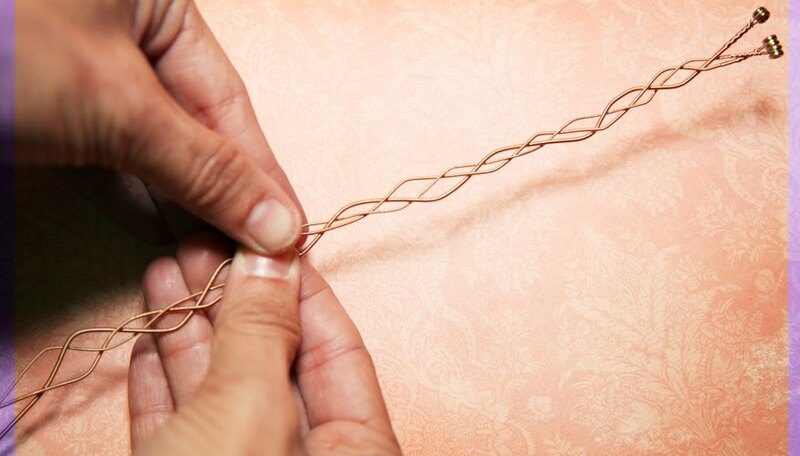 Braid the strings together , starting at the loop end, just as you would braid someone's hair. Wrap the braid around your hand to determine if the fit. Feed the excess ends of the strings through the holes in the metal loops. The strings should keep the form without you holding them but if not, hold the form by wraping a twisty tie or heavy string around the bracelet. This is just to hold it in place, you will remove the ties after step three. Solder a half-inch clasp for the bracelet by soldering the metal loops and 1/4 inch of the excess string that you fed the loops. There will still be a lot of excess string but you will simply cut that off with a pair of wire cutters after the bracelet is made. 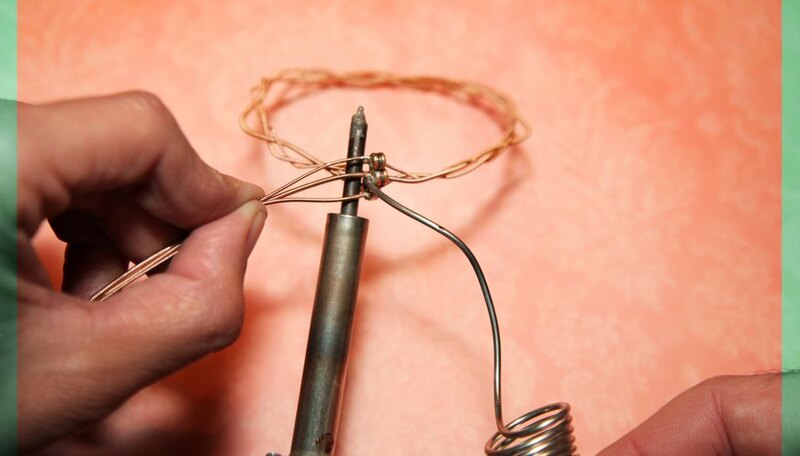 After the soldered area has cooled, untie the ties that held the bracelet in place in step 2 and your guitar string bracelet will be complete. Anthony King is a freelance writer and amateur filmmaker. His work has appeared in various online publications. He is currently working toward graduating with a B.A. in English-writing. What Are Guitar Strings Made Of?